Below are the terms and conditions associated with booking any of our quality villas. You are bound by these terms when you choose to reserve one of our homes. All terms and conditions in force at or during the time of your stay will apply. These terms and conditions constitute the rental agreement between the guest and all involved parties. Please read the following carefully. NOTE: 'Guest', 'Client' or 'Traveller' are one and the same and refer to the persons, party or group making (or having made) the reservation. The client is to allow the owner and their agents the right to enter the property to carry out any maintenance (if required). All our homes have automatic thermostatically controlled Heating, Ventilation and Air Conditioning systems (HVAC). Please do not attempt to interfere or service the system(s). A/C cabinets are locked, and no attempt should be made to gain access to the A/C enclosures (clearly marked 'A/C'). Any attempt to program, reset or override the thermostats will void part or all of your security deposit. Attempts to disable minimum temperature thresholds by factory resetting the thermostat will not only void your security deposit but will likely result in system malfunction (with full liability being assumed by the guest). Continued use of the Air Conditioning at a temperature lower than recommended, may result in charges to your security deposit. Please see 'Energy Usage' for further guidance in respect of A/C use. Clients may gain access to the property after 16:00 (4 pm) on the day of arrival and the property must be vacated by 10:00 (10 am) on the day of departure, unless otherwise arranged and agreed. Failure to depart on time may result in additional charges (deducted from the security deposit) as well as possible additional pro-rated charges determined by the lateness of the departure. All homes are equipped with strollers, high chairs and fold-away cribs. Guests use these items at their own risk and are responsible for folding / re-packing the item after use. Any baby equipment found to be used, not cleaned and/or not returned to its original location (and folded / packed away) will incur a charge for time expended to clean, pack away and return. The payment balance is due 65 days prior to arrival. Failure to pay the balance by the due date will result in cancellation of your reservation and the loss of your reservation / booking deposit. Reinstatement is possible (subject to availability) and will incur a $75 reinstatement fee (+ the outstanding balance) to cover administration costs. 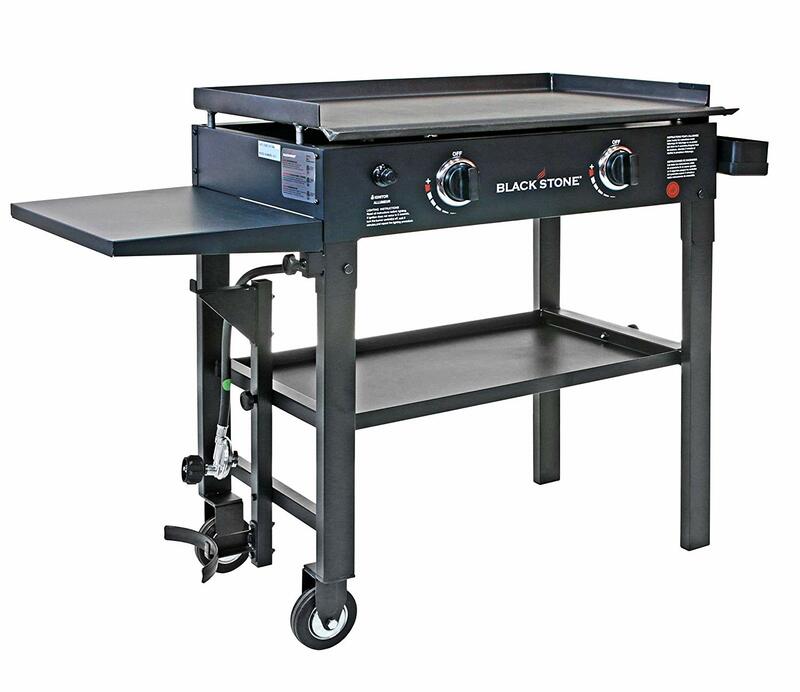 A 2 burner, gas BBQ grill/griddle can be hired for a one-time fee of $99.95 which includes delivery of the grill, gas (1 tank), utensils tray, grill cover and cleaning of the grill after departure. Click here to see a picture of the grill, this is the only type of grill we provide. To order the grill, please visit the payments page. Grill hire must be submitted at least 48 hours prior to arrival. Orders received during your stay are at the discretion of management and subject to availability of grill units (we have a limited stock of grills). The grill must only be used in the designated area and on the provided grill mat. Please ensure the grill cover is in place when the grill is not in use (when grill is cool only). Grill utensils are provided also. Guests are not permitted to bring their own grills (gas or charcoal). A non-refundable reservation deposit of 25% of the full rental balance is required at the time of your reservation / booking Acknowledgment. The booking will be confirmed to you within 1 day of receipt of your deposit. Once the booking is confirmed, the deposit will be non-refundable but will be deducted from the full amount due. These terms and conditions are subject to change at any time without notice. We will endeavor to notify all guests of any changes where possible. We will endeavor to make changes to your reservation(s) as requested. Any changes will be subject to a $75.00 administration charge. Changes will only be accepted and applied if possible (example: a change of dates can only be applied if the dates are available and acceptable). The cancellation terms will apply to the original reservation dates only. If a guest initiates a chargeback by contacting their issuing bank and filing an unsubstantiated complaint regarding one or more payments made in respect of a reservation, a related reservation, a cancelled reservation or any other related service, guest will then be required to cancel any pending reservation within 48 hours of the charge back occurring. If guest fails to cancel, the reservation will be cancelled by villaexec.com. Any cancellation will be in accordance with our policy on cancellations. Chargebacks initiated by a guest, where the transaction was originally authorized by the guest, but the guest then later attempts to dishonestly reverse the charges (for example, by claiming it was not them that initiated the transaction), will be considered fraud. Fraudulent chargebacks will be vigorously defended and will void any pending reservation(s) the guest may have at any of our homes. Check in is 4 pm on the date of arrival and check out is 10 am on the date of departure. Different check in times are available on request only and are subject to a minimum $75 administration fee (fee may vary depending on time & property). Failure to check out at the agreed time is charged as follows (deductions made from security deposit): up to 30 minutes: $30 USD, up to 1 hour $75 USD, for every additional hour (or part hour, after the 1st hour) $105 USD. If you arrive earlier than the designated check-in time (and have not made arrangements for early check-in) and are granted early access, a charge of $75.00 will be applied to your security deposit. The lead guest must ensure the home is vacated by the check-out time (see above). The home must be left in the condition as when you arrived. Towels should be laundered as you go along. Trash must be securely bagged and placed in the trash bin outside. Perishable food should be removed, and all personal items removed. Beds should be left pulled back, toilets flushed, and taps/faucets turned off. Remote controls must be left with their respective TVs. Lights and fans must be switched off and the A/C returned to 78 deg F or set to 'Run'. Following these basic instructions will ensure your security deposit is returned quickly. Please also refer to any check out instructions for your specific home (included with your final instructions). All reservations are charged an inclusive cleaning fee. The cleaning fee covers laundering linens, cleaning and preparing bathrooms and preparing the home for your arrival. It does NOT include (a) Removing perishable food, (b) Removing excess trash, (c) Cleaning excessive food & other debris from the floor surfaces, (d) Stained & soiled toilets, (e) Stained or color stained towels, (f) Soiled bedding & mattresses and (g) Cleaning the grill (where applicable). Please be reminded that you are occupying somebody's private home - not a hotel room. Please treat and respect the property as if it were your own. Please observe the signage throughout the home. It is there for your safety and convenience and provides guidance in respect of what is expected from a cleaning and sanitation perspective. An excess cleaning charge will be levied if our housekeeping team have to undertake additional cleaning not included within the service provision covered by the cleaning charge. This is typically $75 but will be determined by the level of additional cleaning required. Payments received in a currency other than USD (such as GBP or EUR) will be converted to USD at the prevailing tourist rate, plus a $10 admininstration fee. The tourist rate used will be as published at the Travelex worldwide money website. Guests will be totally responsible for any damages caused anywhere in the home. Guests will incur the cost of repair / replacement along with any additional labor or administration charges. An upride charge of up to 18% may be applied to cover shipping, handling and installation of any item damaged by the guest that requires consequent replacement. Damage, no matter how caused, will be the responsibility of the guest if it occurs during the guest's stay and has not been due to extreme weather or other force majeure. If guest denies responsibility in respect of any specific damage (thought to be caused by the guest), manager will only accept such denial upon presentation of indisputable evidence that confirms the guest was not responsible. There is no limit to the guest's liability and if damages exceed the value of the security deposit, additional costs will be charged to the guest. Information concerning damages will be presented to guests within 7 days of departure with photographic evidence where possible. When & where the evidence is irrefutable, but a guest refuses to accept liability, manager reserves the right to determine whether to recover costs or not from the retained security deposit. An admin charge of $12.50 will be added to any damage claim to cover the processing and recovery of damages. Detailed directions to your respective vacation home are provided with your final instructions. Please ensure that you have studied the route to your respective vacation home prior to arriving. The owners, management and their staff cannot be relied upon to provide directions. All parties agree that any disputes will be resolved using no more than mediation and no party will resort to litigation, lawsuits or any other legal representation of any kind other than the aforementioned mediation method. This Agreement will be construed under Florida law. All controversies, claims, and other matters in question between the parties arising out of or relating to this Agreement or the breach thereof will be settled by first attempting mediation under the rules of the American Arbitration Association. If mediation is requested, the request will be filed by the requesting party who will also pay any necessary deposit as requested by the mediator. Any further costs incurred as a result of requesting mediation will be borne initially by the party requesting mediation. If mediation requires actual physical attendance by either or both parties, it will be in the county & state where the property is located. Guests are encouraged to use energy responsibly and to not set the temperature of the A/C below 75 degrees Fahrenheit (especially during the warmer periods), this is a general guidline to encourage considerate and reasonable use of the Air Conditioning and Cooling systems. Guests are free to set the temperature to whatever they consider comfortable. Please keep the refrigerator settings at medium and please switch off lights and other appliances when not in use. Windows and doors must be closed when the A/C (or heating) is in use. Guests must ensure the A/C is left at 78 degrees Fahrenheit when away from the home for extended periods. Appliances must not be left on for extended periods. Excessive energy usage and / or careless consumption may result in a deduction from the security deposit and will be at the discretion of the property management. The oven or any other high energy consumption appliance must not be left on for safety reasons, as well as to minimize unnecessary energy usage. If any electrical or mechanical equipment failure occurs during your stay, which is due to anything outside the manager or owner's control, no refunds or partial refunds will be given. The owners of the property, their servants or agents will do their best to make good the situation but are not responsible for the following: TV service outage, Internet outage, loss of pool or spa heat, any disruption caused by loss of electricity, water or any other service delivered to the property. The owners of the property, their servants or agents accept no responsibility for any loss of enjoyment incurred by the guest and will not be liable for any financial compensation under any circumstances (other than where the cause is attributable to actions by the owner / management). Failure to comply with any of the rental terms and conditions herein will, at the sole discretion of the Owners and / Management, result in the eviction of the Guest from the Property, without recompense or refund. Final instructions for your stay are sent to you upon receipt of your security deposit (14 days in advance of your arrival). Your security deposit can be paid from here. Alternatively, just click on the 'Pay Security Deposit' link in the top right corner of this page. Specific rules and guidance for your chosen home will be included within these instructions. If you would like to see these in advance, please request a copy. Thank you. The owners of the property, their servants or agents, accept no liability to pay compensation in respect of any loss, damage or changes arising from unforeseeable circumstances beyond their control, (but not limited to) war, riots, civil strife, strikes, floods, and closure of airports, adverse weather conditions or other events beyond our control. Guests must not move any furniture. All furniture must remain in exactly the position as discovered upon arrival. This is particularly applicable to beds, nightstands, dressers, sofas, tables, chairs, cabinets along with appliances, fixtures, fittings, mirrors and wall decorations. Any loose items (such as TV remote controls) must be left in their original location. Movement of any furniture will void the security deposit in its entirety. It is not permitted to bring in any extra or additional appliances and / or furniture into the home. Any damage caused to game tables where a repair cannot be affected with a part (or parts) replacement will require the guest to fund the purchase of a complete replacement table. Any damage to the game table surface cannot be repaired and the table will require replacement at the guest's expense. Guests are required to use the equipment respectfully and not damage pushers, pucks or cues. If economic repair is not possible after guest inflicted damage, guest understands that replacement is the only remedy (along with installation, build and old unit removal costs). We provide an on-call number for emergency use only. Please only make a voice call to the provided number if it is an emergency situation that needs to be quickly attended to. All other requests must be sent via text message or email. Your final instructions will include the text phone number and email address, as well as the emergency voice number. If you do need to call the emergency guest services number and you do not get an answer, please leave a voice message along with a cell phone number we can reach you at. All urgent voice messages are responded to within 15 minutes. Anything non-urgent will receive a response by the next day. The owners of the property, their servants or agents accept no liability or responsibility for any medical issues, health complaints, illnesses or any other ailment that a guest may experience during a stay at one of our homes. Guests are totally responsible for their own wellbeing, health and care. The owners of the property, their servants or agents will not accept any liability or responsibility for any such health-related issue that a guest believes was caused by staying in one of our homes. Guest agrees to hold harmless the property owners, servants and agents in respect of any contracted illness, health complaint or condition that develops during the period covering a stay at one of our homes. All homes are treated thoroughly with pest control agents and subjected to periodic treatments to minimize infestations. However, due to Florida experiencing a subtropical warm and humid climate, ingress of insects, bugs and pests can occur. The most probable cause of ingress is through left open doors, on body transit that is further encouraged by exposed foods and liquids. The owners of the property, their servants or agents, accept no liability for any such infestations. In the very unlikely event that an infestation occurs, guests are responsible for effecting suitable treatment to eradicate. Applicants are strongly recommended to take out adequate holiday insurance, to cover cancellation, accidents/illness or damage. Early check-in or late check-out can be added to your reservation at a cost of $75 for each two hour period either before arrival (4:00 pm) or after departure (10:00 am). If you secure either late check-out or early check-in via this means, it is not guaranteed. If a subsequent reservation is then received on your departure date, or, one that departs on your arrival date, your late check-out / early check-in may be cancelled and any fees paid refunded. Late check-out / early check-in can ONLY be guaranteed by securing the prior night (early check-in) or the night of your original departure date. NOTE: All subject to availability. If the date(s) are already booked, neither may be possible. You are advised that you are occupying a private villa and therefore are responsible for your own safety in respect of any loss, personal accidents or damages sustained by you or any members of your party during your stay. It is the guest's responsibility to ensure that they have adequate holiday insurance to cover personal injury/ accidents /damage. No claims whatsoever will be accepted by the owners or their agents of the property. The owner or their agents accept no liability for loss of mains services or failure of appliances or of any actions taken in the vicinity of the property by any authority or third-party persons beyond their control. We offer a discretionary military rebate of 6.75% to those that qualify. To qualify, the lead guest (only the individual person that made the reservation) must be able to provide documented evidence of actual, current or past service in the US military, armed services, army, air force, navy or marines. Current ID (showing current address), along with military verification, is required no later than 21 days prior to your arrival, upon which the rebate will be mailed to you by check to the address documented on the supporting ID after departure. The offer of military discount is at the discretion of villaexec.com. 6.75% is calculated using the total rental minus any 3rd party charges (such as VRBO/HomeAway service fees). Details should be submitted via email to andrew@villaexec.com. Requests for military rebate will not be accepted for other members of a party / family / group staying at one of our homes. Only the lead guest that made the reservation will be considered for a military rebate (subject to providing the required and validated credentials). The minimum stay for all our homes is 4 nights. Shorter durations are accommodated, but the minimum charge will be for 4 nights. During the Christmas, Easter and New Year peak period (and any other peak period), the minimum booking charge is for 7 nights. A 7 night Christmas booking can be any period to Dec 30th and a 7-night New Year booking can be any period from Dec 30th. A single week booking during the Christmas/New Year period cannot include both Christmas and New Year (unless for 14 nights). All our properties are categorized as non-smoking. This is for the safety and wellbeing of guests. Evidence of smoking inside the property will void your security deposit. Smoking is permitted only on the outside deck. The persons named on the booking form may only occupy the accommodation, any deviation without permission could result in eviction from the property. The lead guest is responsible for other members of his/her group. The lead guest must check the property prior to departure. Sorry - because of risk to furnishings and for the comfort of other guests - no pets. Pets may be considered under exceptional circumstances (such as emotional support animals, registered blind etc). Bringing a pet without prior disclosure may result in eviction and loss of security deposit. Guests using the pool, or its surrounding areas do so at their own risk. Children are required to be supervised at all times when using the pool or on the pool deck area. The owners, their servants or agents will accept no responsibility for any loss or personal injury incurred from using the pool or its surrounding areas. In the unlikely event that the outside ambient temperature falls below 50 degrees Fahrenheit, the pool heater may be unable to heat the water. This is not a fault of the pool heater. Swimming pool heat pumps work just like central air conditioning heat pumps, only in reverse. Instead of removing heat from the inside of your home and expelling it to the outside air, a pool heat pump takes heat out of the outside air and transfers it into your pool water. Swimming pool heat pumps can extract useful heat energy in air temperatures above 50 degrees F, so they are very effective in Florida's mild climate. However, when the temperature falls below 50 degrees F, the water may not heat. No compensation, refunds or deductions will be made or provided if this situation occurs as it is beyond the control of the owner, their agents or property manager. This is considered force majeure (result of the elements of nature). No guarantees are provided in respect of water temperatures as environmental conditions can affect the water temperature irrespective of what the pool heater is set to. These terms also apply to the Spa (hot tub). The owners and their management will not re-assign guests to alternative accommodation under any circumstances. Guests must either assume the risk or provide suitable insurance to cover any such eventuality. If your reservation is cancelled by us for reasons of non-payment, non-payment of outstanding balance and/or non-payment of security deposit; your reservation may be reinstated (should the dates be still available) upon payment of all outstanding monies and a $75 reinstatement fee. If your reservation has been cancelled for failure to comply with any of the terms and conditions (for renting a home via villaexec.com); reinstatement will be at the discretion of villaexec.com along with the satisfaction of any other outstanding debt, payment or specific prior agreed requirement. Any misplaced or lost remote controls for (but not limited to) TV sets, music systems and fans will be charged to the guest at $120 per instance. After market remote controls are difficult to locate and the cost reflects the time and inconvenience to replace such items. All prices include sales taxes (7.5% state and 6% for Osceola County = 13.5% / 7% state and 5% for Polk County = 12%; the total tax is made up of FL state sales & use tax and local county tourist tax). Failure to pay the security deposit by the due date may result in cancellation of your reservation and the loss of all fees paid. Reinstatement is possible (subject to availability) and will incur a $75 reinstatement fee (along with payment of the security deposit) to cover administration costs. If the security deposit has still not been paid 48 hours prior to the arrival date, the reservation will be cancelled, and no reinstatement will be possible. You can submit your payment via this link. Thank you. IMPORTANT: The security deposit is still due even if you choose to have a property damage protection (PDP) policy (from another provider). We do not accept damage property protection policies as security. In the event of a claim (against a chosen PDP policy), the guest will be responsible for processing the claim and any recovered funds provided by such policy can then be offset against any withheld funds to cover damages (retained by the property owner). IMPORTANT: Last minute reservations (within 72 hours of arrival) may be subject to a higher security deposit. This will be determined according to percevied risk associated with the specific reservation. All homes offered for short-term rental through villaexec.com are provided on a self-catering basis. The management provides one soap bar and a roll of toilet tissue in each bathroom, one trash liner, 2 dishwasher tabs and a paper towel roll as complimentary starter items for each booking party. Once these items are used, it is the guest's responsibility to replenish them. Except as defined above, items such as trash liners, paper towels, dish soap, laundry soap and bathroom tissue are all items that are to be provided by the guest. The management and / or owners do not provide any sauces, condiments, cooking oils, herbs & spices or food stuffs of any kind. It is understood by the guest that all consumable supplies (other than those supplied by the management at the beginning of the stay) will be supplied by the guest. If guests (or any member of your party) block any of the toilets during your stay, any call-out costs to remedy will be charged to the guest's security deposit. Any proposed call-out will need to be approved by the lead guest first (via email). It is recommended that bleach is poured into the offending toilet and the toilet left overnight to clear before requesting a call-out. Guests are responsible for putting out the trash on the days advised via signage in the villa. Any excessive trash left by the guest will be removed with a charge of $75.00 being levied to the departing guest (excess trash includes trash left outside the trash receptacle). The charge is at the discretion of management. Any excessive trash left in the home may also be charged for. All ChampionsGate homes have daily valet trash service and the outside trash receptacle can hold two full standard (13 gallon) trash bags. Should trash not be collected, trash should be taken to the trash compactor (ask the clubhouse concierge for details or refer to your final instructions).